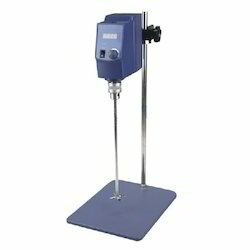 DLS is a digital overhead stirrer for medium viscosity liquids. shows current speed set speed, torque and time. offers the possibility of unattended operation. Speed range: 0 – 3400RPM. 2. Max Temp. : 380℃, max speed: 2000rpm. 3. Heating and stirring can proceed simultaneously. 4. Heating power and stirring speed is steplessly adjusted. · Excellent blending results in an accurate and repeatable control. · Stirring by electronic control of speed, from 60 to 1500 rpm. · Specially designed for those samples in which its viscosity changes during the process. Temperature Range: 5 to 60 DegC. 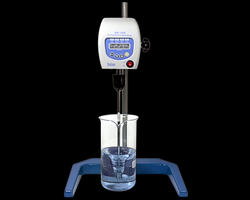 Usage/Application: Suitable for mixing liquids of varying viscosity in the laboratory.